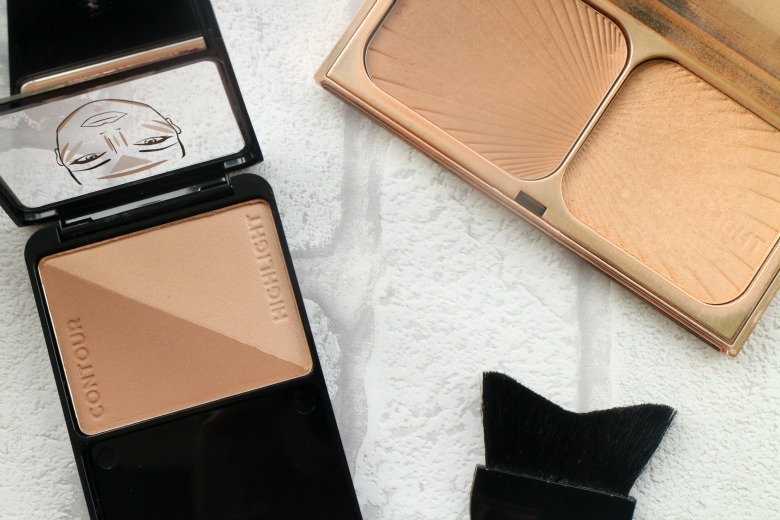 Charlotte Tilbury is a brand much coveted and no product more so than the Filmstar Bronze and Glow Palette*. Despite it's hefty price tag, which can be forgiven for the uber luxe packaging, it appears on many holy grail and beauty wishlist. 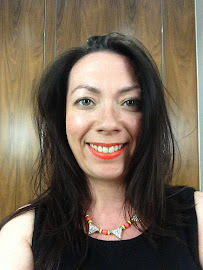 When I was offered the chance to pick some products from the Charlotte Tilbury link I had to try it for myself. As I said in my initial review, and despite using on an almost daily basis since I'm still slightly underwhelmed. 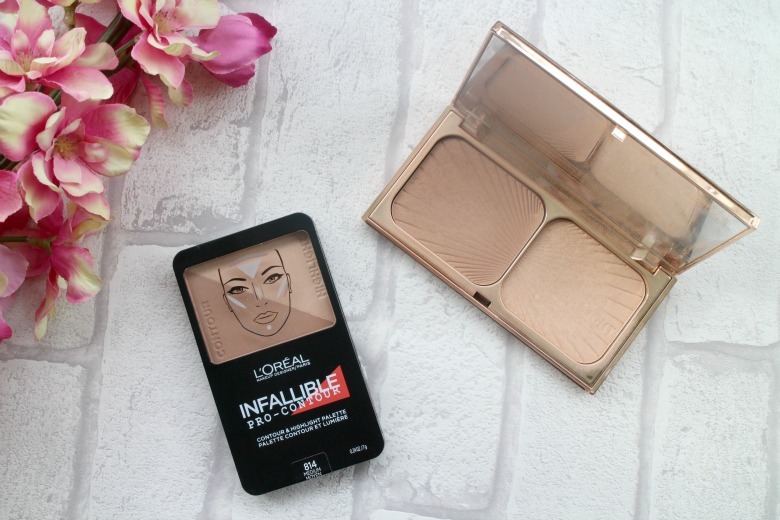 Whilst compiling my shopping list for my recent trip to America I added the new L'Oreal Infallible Pro-Contour Palette so I could see how it compared. The first difference between both palettes is of course the packaging, which slightly differs to the UK version that's appearing online now. The L'Oreal version is more basic, but then the price is significantly smaller than Charlotte Tilbury so can be forgiven. It's inoffensive and study but what is stranger to me is the there is only one pan which houses one half contour, one half highlighter and of course significantly smaller offerings. L'Oreal do a offer a brush which I've used and whilst the shape works surprisingly well you do have to be cautious of not leaving a shape as it doesn't blend out as well as I'd like, or certainly as well as I can use. On first use I noticed immediately my current contour brush of choice from Make Up Revolution was too large for the small pan size, even just the triangular shape makes things awkward. As I mentioned above I have tried the brush that is included and that too is almost too large and even my Real Techniques contour brush was a struggle. This is not added by the texture of the palette being very stiff and despite using the shade medium it is difficult to build up a colour. I've complained that the Charlotte Tilbury contour shade is a little too natural but this doesn't even seem to have any pigmentation at all. For this is something of a negative but if you're scared of contouring this could be a product to start with, particularly if you somewhat heavy handed. Drugstore contour shades often appear too orange or with a sparkle in them and this is warm but not orange and matte as you'd like. The highlighter shade for me is also a little too subtle. Again I wouldn't say I have too light a hand but I'm just seeing the products on the face. It would appear that in the UK we have a slightly different looking palette and shade offering. In the US it is Light, Medium and Dark whereas in the UK it's Light/Medium and Medium/Dark so it's possible that the quality and appearance may differ. Also the pan looks like it could be a better shape to work with. I am disappointed with this palette overall as I was expecting better things. I'll persevere for another week or so but otherwise it looks like my lacklustre attitude to the Filmstar Bronze & Glow will need adjustment. Yes I've been using that one too and it's great. I know it's a real favourite of many!